Srini is my dear blogger friend whose mastery over satire and humour is awesome. With the nom de plume of Laughing Gas, he not only spins satire exquisitely but also manages to elicit a smile that goes all the way to a guffaw. From economy and politics, and daily life to language, his range is extensive. I particularly love his digs at Diggy! And in case you don’t have the time for long posts, you can follow him on Twitter; his tweets are equally funny and fulsome. But before you conclude that he is just a satirist, let me hasten to tell you that his pieces on philosophy and spirituality are simplicity personified — and that is saying a lot for such heavy subjects. In fact, his hugely popular spiritual fiction novel 3 Lives, published last year on Amazon is due to be released shortly in print in India. I look forward not just to the posts on his blog What Ho, but also his comments on my blog for their perspective and depth. And did I tell you about the kind of advice I get when I ask him for it? Simple, no-words-minced, matter-of-fact and oh, so logical that I rethink my options to come up with a solution in a jiffy. In this guest post, Srini gives us a hilarious glimpse into the phrases we Indians merrily use and make ourselves understood too. Read on…. English, the World’s Second Language. Once an insignificant language spoken by a handful of people on a tiny island in the North Sea, English has grown to be the global language of science, technology and trade. So much so that China is now the largest English speaking country in the world. Now that English is a global language, with non-native speakers outnumbering native speakers, it has taken on a life of its own in non-English-speaking countries, and the question of correctness, of who owns English, is taking on a new spin. Let no one misconstrue our attitude as mocking or critical. Far from the truth, as a matter of fact. In the peculiarities of Indian English, we see the boundless creativity of our nation, and its charismatic ability to take anything and put its own indelible stamp on it. An excellent vestige from colonial British Raj. Today used to mean “studied in a Christian school“. Convent comes from the fact that back in those days when there were still nuns, nuns used to teach, and nuns lived in convents back in those days. Clear as crystal, right? Telling a thousand lies is a mere trifle if one has to perform a marriage, as we Indians like to believe. Matrimonial ads abound with prevarications of various kinds, and take full advantage of the foibles of Indian English. Issueless divorcee means divorcee without children. Because, err, children have been known to cause issues. Translation: Completed or graduated from school or college or university. The term persists, thanks to the national obsession with tests and exams. Graduating college is the equivalent of passing the associated tests and exams. Translation: Will get back or respond. Dictionary meaning is “regress” or “return to a previous state“. In physics, springs revert. In India, humans do. Evokes images of the call center individual rushing off to a therapist and undergoing past life regression to understand how he accumulated the karma and gunas in his past life that caused him to be answering my question on that day. There are several types of shenanigans possible with this simple four letter word. “I am leaving now only”, “I am leaving only now” all the way to “I only am leaving now”. You probably caught the drift of what’s being attempted here already. Used to express doubt, when even there is no reason for doubt. And like “only”, it can make unexpected appearances in any part of any sentence. A combination of “but” and “only” has been known to spook entire fleets of visiting American executives into thunderstruck silence during business meetings. Add “only” to the witness response above for maximum effect. No one really knows how this term entered the English language. Indians use it to mean anything. Just about anything. Period. There is no known translation for its Indian usage. Folks are advised to make their own interpretations which can vary according to exigencies of situations. This is a delightful phrase, like avara kedavra, with magical powers. It means to ask someone to do something that neither party has any idea how to get done. Use it often and use it early. See below for example of perfect usage. In India, there is a rather unusual usage of this word in the context of informing or notifying someone, which connotes common ancestry with “revert”. “Once I revert, I will intimate you” can be intimidating to handle, we imagine. This word is delightful for the simple reason that no other English speaking country uses it. A bit of a tongue twister, it continues to survive in the written form, in Indian newspapers and government memos. No one else in the world felicitates. But, when you set foot in our lovely country, you will be awash and neck deep in felicitations. Laughing Gas understands the angst that some readers may have about the decline of “propah” English. As consumers, we all want dependable and high quality products. But, when we get too much of the same, we seek, nay, crave the unique, the outlier, the imperfection that makes life interesting. This is true for language as well. The way language works, we all get to go off-script from time to time. Because we are like that only. guilty on some counts tho.. I am in virtual possession of the above mentioned post on your blog and have in the utmost interest of sanity have decided to write in all earnestness. Haaaaa haaaaaa haaaaa ROFL….ha ahahahahhahahahahhahhha….catching my breath……ha ha ha ha ha aha ha ………….phew! I do hope my mental state has become apparent to you ONLY. This post has brought to the fore the many stones that we have left unturned in our pursuance of Indian English BUT it is well written indeed. I will be trying to rid myself of my issuelessness and in doing the needful might pass out. But I promise to felicitate the writer and will revert back on an appropriate day and time. Being convent educated myself, I will initmate you the details of the same. I am so glad that you liked Srini’s post. I must nag him now to reply the other comments on his post, which are inching towards the century mark! Interesting, never thought it that way. We Indians like to make up things as well as we go along. It does make perfect sense. The Indian mindset and the English language do make a heady mix, don’t they. Glad you liked it. Yes indeed imperfections make life interesting. Would be dull and dreary if it was not for a dash of imperfection. Perhaps, the wonderful thing of English language is its ability to assimilate words from o0ther languages. That dosent mean I endorse the incorrect word in places that it looks stupid. Like for instance the word “revert”. Another word , I have not seen used by the English speaking English is “co- brother’, and this is common in the south of India. The post was enlightening and made interesting read. Co-brother-in-law is uniquely Indian 🙂 Tells us how seriously we take our relationships! Don’t think the English language does not have a word for what that means..
Hey Gal Next Door, thank you and glad you enjoyed it! “Cannot able to” remember how I missed that one 🙂 btw, the bookish musings on your blog are great. Your “soul sister” Frances Mayes is an excellent writer. I have a feeling you’ll enjoy Elizabeth Gilbert’s Eat, Pray, Love, if you haven’t read the book already. A thoroughly enjoyable post : we are like that only : so what ? I really enjoyed this Srini, I am guilty of being convent educated with nuns for teachers. I have used ‘too’ and ‘only’ and some Tamlish and Hinglish words growing up. I have to be careful when it comes to my blog as my followers are mostly Americans and other native English speakers. Sadly Indians find my blog boring, no romance stories, tech or cooking tips, political or social satire, movie reviews or humour, you see. Isn’t ‘you see’ an Indian thing? Welcome here Rek. Just came back from your lovely blog 🙂 Do visit again! Are you somehow implying that there’s stuff beyond romance, tech, cooking, satire and bollywood to write about? 🙂 That prompts me to check out your blog. Thanks for your kind words. Glad you enjoyed it. Most great writers confess to writing for themselves first. If you enjoy the writing process, then everything else (readers, page views, traffic, Indians, Americans, Eskimos.. etc etc) is icing on the cake. That’s just my opinion. cheers and keep writing. Hey Vinni, ha ha.. a little comic relief goes a long way in getting through this thing called life 🙂 thanks for writing in..
1. to indicate or make known indirectly; hint; imply; suggest. 2.Archaic . to make known; announce. Thanks for reading. What did I miss again? Please do share if you have any good ones missed out here. Didn’t say there was anything wrong with using intimate in its verb form.. just that it’s rather unusual these days 🙂 cheers. I should think. Some time back I used to review lot of SOPs of MBA aspirants on a popular MBA wesbite. Then I used to come across numerous instances of funny and cliched usages. Can’t remember off the cuff. I have a confession to make. Even though I am a regular on CN’s blog, I was avoiding this post. So much has been said on this already, what new can CN”s guest blogger add! Well, I am already eating my words and I don’t like the taste of it. Aikthooo…..I laughed so hard, that my daughter who had been meditating in front of her laptop for hours, came rushing to check if I was alright! Crisp language, delightful humour – you’ve earned yourself a brand new fan. Some great comments here. I think it’s really cool that dear Zephyr has such a great set of folks who read her blog. Isn’t language such an amazing thing? As I said earlier, we’re the only species which has devised this rather unnatural mechanism of combining syllables we learn as children to convey thoughts and ideas to each other. This singular ability to communicate an idea/concept sets us apart from other animal species and has propelled our evolution at a disproportionately higher pace than the rest. An interesting sidebar: the question of “why language arose in the first place” continues to be a mystery and a puzzle to researchers. When it arose, it didn’t confer evolutionary benefits to humans (or at least any that we know of). Another (more sobering) language factoid: Wars based on linguistic divisions have caused more deaths in history than those over religion. Glad everyone enjoyed it.. Do keep the comments coming. cheers. Thanks Amit. Glad you enjoyed it! Thoroughly enjoyed this, Srini. I could add a lot more to your list – for example – prepone – now there’s a word we invented! What about ‘long back’? However, I must say that Indian English is now an accepted dialect – the sheer number of our ‘issues’ caused the powers that be to accept this form of the language! Why embarassment? Seems like a legit use (even if directly translated) ? How about this outrageous direct translation of a Rajni punch dialogue? And escapes before getting caught. Lets just say I was escaping that belan. The link (which I got off twitter) is a compilation of all the phrases you’ve put up, and more, being used in real life correspondence. All examples given are real. :)) Have read this somewhere before reading it here. Sure is fun rereading though not as much as the 1st time! I wrote this close to a year back. I recall a tussle between “No at the end of the sentence” and “Only”.. the latter made the cut and onto the list. Pronunciation is a whole different ball game, and has its own share of horror stories. But, I guess we can forgive ourselves for those, as we’re not native English speakers..
Hi Bikramjit, please do.. And when you do please let me know, I’d love to feature it on What Ho! I can never forget the day when my British clients rolled on the ground laughing when I used “do the needful” for the first time in a mail to them. That was also the last time I used it. They told me that no one uses it now and the only place you can find the phrase is in Charles Disckens novels and India. Ha ha! This post made my day! I had read a post about English Blunders recently too. In that there was a mention of “Few days back”. It said this is a wrong usage. The correct usage is “Few days ago” or “years ago” and not “Years back”. It stuck with me and I am careful when I use it. The same with “Passing Out”. 🙂 And now thanks to Srini a few more added to the list. Hey Jyothi, I use “few days back” all the time in conversation. Cool, learnt something today. Thanks. The list for Indianisms part 2 is getting longer..
Hmm..Well, scared to comment anything as I might use any of the above usages…hahah….I remember, as a kid, I used to use the word ‘only’ a lot. One fine evening, my mama translated the word in telugu and placed it at the end of the sentence, where I use ‘only’ frequently. So, the sentence goes like this: “She is not coming home maatrame (only).” Yeeks…see, how stupid it looks. )If you do not know telugu, excuse me, as it might not make sense). The other thing, ‘revert’, ‘intimate’, ‘do the needful’..my god, how many times have I used those? Cool post. Thoroughly enjoyed it. Hey Folsom, Absolutely nothing wrong with felicitations, at all.. It’s just such a funny, tongue twisting word 🙂 Even the Brits have given up on it. We’ve kept it going .. Wise lady, your mom. Nice trick! passing out.is the best:)..but now a days linguistic skills are at their lowest because we are mixing all the languages, I myself feel that my Hindi is deteriorating, though i prided myself on my knowledge of Hindi and its correct usage. Hi Renu, your observation resonates. There’s more communication than ever. And there seems less comprehension than before. Research supports this. We’re being inundated with information and our ability to retain is dropping. Innovative (often wrong) use of language is key to getting attention. Hinglish is a great example.. Mixing languages is fun, don’t you think? Why just Hinglish? As Subo has pointed out, we have so many other variations — Bonglish, Gujlish, Tamglish…. yes sometimes it is fun, but sometimes it rankles me..specially in Hindi:)..I feel they are destroying the language…mixing other langauages and then wrong usage..like main mera..its always main apna.. So true! Translation from mother tongue gives its own hilarious touches. Another one I have noticed is the use of word institution. He is an institution especially used for celebs?? He needs to be in an institution or maybe you need to be in one :)? Then, I’ve seen “simply” being used very commonly. Why did you do that? Simply! Another phrase I find very funny though correct is “being seized of the matter.” I mean why are you seizing my matter, and what am I supposed to do — wait for your release? Then the word prepone is a product of India. Readers’ Digest keeps coming up with updated lists of the same regularly. Hi Rachna, your observations duly noted for incorporation into a part 2 edition of Indianisms. Have you heard of revert back? I use it all the time only for the husband to point out that revert doesnt need to be followed by a back! Gah again! You mean, I cant intimate anyone about their felicitation..Damn..and I thought English was an easy language! Glad you liked it. I couldn’t agree more with you on the amazingly cool guest posts we’re getting here 🙂 (tongue firmly in cheek). Convent educated used to be a rage …..pethaps it still is in small towns. In metros the new trend is International Schools..
Do the needful takes care of everything..said and unsaid. “Do the needful” is possibly one of the most useful phrases ever invented by man, I agree! Life as we know it would cease to exist if that phrase were to disappear. Language is truly an amazing thing. Of all the species, humans are the only ones which have created this concept of using combinations of syllables to convey thoughts and ideas with each other! Hilarious it is… Do the needful and passing out will surely make me laugh the next time I will use them. Okay, I am already in love with Srini from that intro! And would I be right in assuming he is a P G Wodehouse fan? I think not. This lovely list reminds me of @Samosapedia ‘s regular definitions of our delightful colloquialisms. Thanks for the intro, Zephyr! Two days ago we were making a list of the unique phrases Tamizh film dialogs use. Hilarious! Merci beaucoup, Vidya! I’m just having an awesome time interacting with all of Zephyr’s fans and readers here. And it’s fantastic to meet you too! What ho! I am a Wodehouse fan indeed. why do you think not ? 😦 Have been a huge fan since I read him as a schoolboy. And yes, the blog name is my little homage to the master. I take it you’re a fan of PGW too? Do share that Thamizh list you’ve done.. please. Sounds fun. toodles. pip pip! 😀 Srini, so sorry about the “I think not” I think I wrote something else followed by “i think not” and somehow seem to have deleted that while editing the comment. Grrr. I really meant to say I would be right in assuming you ARE a Wodehouse fan. Thing is, when I commented and posted, it took me to a blank page. So I hit the back button and reframed it. And so, messed it up. Let me put that Tamizh list together with my boys. Yes, Samosapedia – quite a hilarious site. And small easy snippets in the mailbox. Some are downright funny. Pleasure to meet you, Srini! I am a big fan of Zephyr’s too! This line “In India, there is a rather unusual usage of this word in the context of informing or notifying someone, which connotes common ancestry with “revert”. “Once I revert, I will intimate you” can be intimidating to handle, we imagine.”–is ROFL. Hey Bhavana, thanks for writing! Trying to be funny is risky business. At some level, you’ve got to be somewhat pyschotic or neurose to pull it off. Now that I’ve destroyed the effect of Zephyr’s intro (of moi) to this audience, let me say that I’m glad to hear that this made you smile! Seeing the flood of Indianisms coming in – perhaps I’ll compile a part 2 of this list from the comments on here! cheers. Dear Zephyr, it’s an honor to be featured here. Thanks for the kind words in the intro. My day just got a whole lot better! cheers. Looking forward to reading your book in print! Thanks again, Zephyr. The book’s shaping up pretty well. It’s been a lot of work but fun! Should be out on Flipkart in a month or less! Hi Zephyr, you’ve got an awesome group of folks who read your blog! Thanks again for the intro. Feels good to be connected to all here. loved it. it is not only the colonial hangover but also the myriad indian languages in which we think and then translate into english that makes indian english so vibrant. i wanted to add ‘it seems’ and ‘why because’ to your list. great post. I guess ‘only’ and ‘but’ take the cake, here. I see myself using those two words rather liberally in my blog. Also while commenting on other blogs. I have my own doubts about the word, ‘Also’, as well. Do English speaking countries use this word as often as we do? Whenever I use words that I know are India specific, I tend to console myself that my writing style is ‘conversational’. 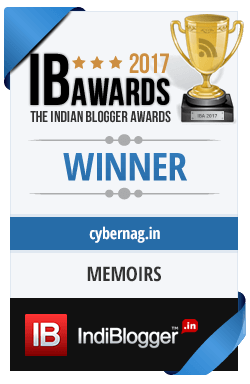 After all, I have an Indian audience reading my blog and if I don’t use those words, I might sound like a member of the Royal family and perhaps alienate many readers! Are you sure about China being the largest English speaking country in the world? If they are, they would have grabbed a large pie out of our IT services business by now! Why ‘console’ yourself when your readers enjoy reading your writing? You’re spot on. Connecting with the audience is the goal. It really should not matter how one does it. Charlie Chaplin did that for years without speaking a word! Motor on, my friend. To Destination Infinity and beyond. Cheerio. ps: There is no agreed upon etymological origin for ‘OK”. If you read the article, it’s a list of ‘proposed’ etymologies, and lists mostly what they call ‘folk etymologies’ or ‘false etymologies’. Hope I haven’t incurred the wrath of the gods of wikipedia with these blasphemous words 🙂 cheers. Nice post. About the convents, nuns STILL live in convents.